Welcome to TANZANIA, the largest East African country, home of the Ngorongoro Crater, the most unique ecosystem on Earth; the sensational Serengeti Plains, scenario of the breathtaking migration of over a million wildebeest in a desperate struggle for survival; and the soda waters of Lake Manyara, tinted sugar pink by myriads of flamingos. Hotels & Lodges (T) Ltd. invites you to the Ultimate Wildlife Experience Under African Skies in seven unique establishments, Tanzania’s Prime Safari Locations. Arusha’s supreme boutique hotel offering first class accommodation and service, surrounded by the history of bygone eras. The hotel boasts the finest location in the heart of Arusha, in the tranquil surroundings of its own tropical gardens. Located between Lake Manyara and Ngorongoro, Karatu Simba Lodge is nestled up against the lush Ngorongoro Forest Reserve. Travellers can take a break from the safari trail to experience a taste of rural Tanzanian life, relax and enjoy the changing rhythm and landscape of the seasons. Sleep under the Southern Cross listening to the call of Bush babies and Montane Night jars. The east African hotel is situated within the heart of Africa, The breath taking views that are present and treasured in the town of Arusha, where this hotel is strategically placed. This hotel within Arusha has been specifically set upon Old Moshi road which has the benefits of being Just a short distance of about a 45 minute drive from the Kilimanjaro national airport. The Hotel is situated in Arusha which is the capital of Tanzania, this capital offers a large host of things to do and sites to see as it is located at a close distance to Mount Kilimanjaro, Arusha set in the north of Tanzania overlooks the mountain and has its own wild life park on Mount Meru, named the Arusha national park. Named after the aromatic flower, Langi. Langi Beach Bungalows is situated on the Fines island of Zanzibar. A resort in nungwi village on North Coast , the most central accommodation and tourist destination. The resort is situatedon North end of Zanzibar, famous for deep sea fishing, fantastic swimming beach and dhow making. Hill View Hotel is a newly established hotel in Mbeya City. Hill View Hotel is owned by SIKEM Real Estate and Developers Limited a fast growing real estate company in Mbeya City. Hill View Hotel features 25 Rooms and Apartments, Bar, Restaurant and Mini-conference Facility. The Hotel is located at the top of a cool hill in Uzunguni area, one of the most popular and safe part of Mbeya City in the Southern ighlands Zone of Tanzania - East Africa. Spa offers spectacular oceanfront settings, with a unique landscape considered to be among the finest in the world. Hideaway of Nungwi Resort & Spa puts you right where you want to be along the north west coast of Zanzibar, on the spectacular white beach of Nungwi, where the absence of tides guarantees the pleasure of swimming and snorkeling in the crystal sea. Located in the Central Business District. 5 minute walk from the Ferry Terminal. Heritage Motel offers value-for-money accommodation, massage service and free Wi-Fi at the reception area. A walking distance from various Government Offices, Banks and Shops. Heritage Motel is 20 minutes journey from the Dar es Salaam International Airport. We offer Free Private Parking for Guests. Welcome To Hotel White Sands, Resort & Conferencing Centre The real gem of the East Coast of Africa! The White Sands Beach Resort is situated on an idyllic stretch of private beach front, just 25kms North of Dar es Salaam city centre, making it the gateway to a unique East African experience! The Slipway is Dar es Salaam’s premier shopping and leisure centre. Here, you can shop, drink, dine or watch the sun set over the Indian Ocean. Parents can set their children loose in our waterfront playground, and travelers can relax in our lovely hotel rooms. Welcome to the Palm Beach Hotel in Dar es Salaam, Tanzania. Although the name may be deceiving, (as the hotel is not on the beach), when it was originally built in 1954 it was one of the only buildings in area with nothing to separate it from the beach a mere 200m away. Now as the city of Dar es Salaam has built up around her the Palm Beach Hotel is a pleasant reminder of an era gone by. Recently renovated and restored to its former 'art deco' glory, the hotel now offers; 32 bedrooms, a conference room, a pleasant garden restaurant and bar, and a fully air-conditioned coffee shop. 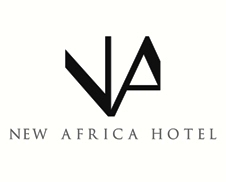 Welcome to the New Africa Hotel Renowned for its rich history and excellent service, New Africa Hotel offers all of its guests a truly fulfilling stay in Dar es Salaam. Ideally located in the heart of Dar es Salaam city, a stone's throw away from the Zanzibar ferry, New Africa Hotel is the perfect place to stay when visiting Tanzania's largest city. Each of Planhotel’s resorts, hotels and lodges is managed according to a simple and effective philosophy that has proven to be, over the years, a guarantee to satisfy our guests. We believe in being actors, not spectators. Actively intervening to ensure the quality of our services while, at the same time, constantly introducing new ideas to improve what we do. Our employees are committed to reach the level of hospitality excellence that has always been our trademark, ensuring to meet every guests expectations. Our Warm Karibu The direct translation of the Kiswahili word Karibu, is welcome. Naturally, as with most languages, much is lost in the translation. When a Tanzanian uses the word Karibu, it implies warmth, hospitality, and genuine happiness at meeting you. Located just 50-km north of Dar es Salaam, Bagamoyo is one of Tanzania's most attractive towns. With a considerable charm belying its past, Bagamoyo combines splendid natural beauty with a significant cultural and historical heritage. The curved, fine white-sand beaches, fringed by swaying palms, have been formed over thousands of years by the wind and waves of the Indian Ocean and the discharge of the nearby Ruuvu River. Life here appears to have changed relatively little from ancient times. Discover the place where the heavens meet the earth, where the rhythm of nature pounds to the beat of an African drum, and where life is all about a revival of the senses. Situated at the foothills of Mount Meru in the city of Arusha, Tanzania, the Mount Meru Hotel lies on 9 acres of lush landscape, surrounded by some of Africa’s most breath-taking vistas, rich with a diverse array of wildlife, etched against the fertile slopes of this beautiful mountain. Gold Crest Hotel is one of the newest hotels in Mwanza, located in the heart of the city. We offer our visitors spacious suites with the latest amenities and striking views of the downtown area. View our suites and book your stay today. Gold Crest Hotel core undertaking is to provide Accommodation, Modern Conference facilities, Food &Beverage , Entertainment venues products and general hospitality services. Isamilo lodge was established and started operating early on 2006 with a main focus on accommodation and conference facilities. The lodge is located approximately 8km from the Airport and 3km from Mwanza town.This ultramodern building with fine view sitting in the very heart of ISAMILO area has become a centre of attraction to many for its modern look. 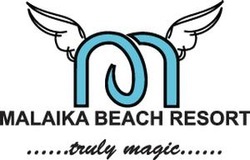 Karibu and welcome to Malaika Beach Resort, our tranquil lake-side hideaway for your thoughts to escape! Malaika Beach Resort is located close to Mwanza; which is known in Tanzania as Rock City and is the true gateway to the Serengeti. Hotel Tilapia is a hotel with great ambiance. Situated along Capri Point on the serene shores of Lake Victoria and only minutes away from town. It is a place where you can relax at our "soon to be opened" Nirvana Spa, sunbathe at the swimming pool, enjoy a delicious meal at one of the restaurants or cocktails at the famous SP Bar. The Walkgard Hotels comprise of 2 tourist hotels in Kagera regions Bukoba town The hotel has a total of 48 rooms with different views of the scenic valley town of Bukoba or the Lake Victoria. 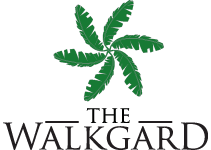 The Walkgard is the only luxurious tourist hotel in Kagera Region comprising of uphill and inner town complexes which includes conference facilities, swimming pool, bars and attractive gardens. Kigoma Hilltop Hotel Set on a remote outcrop amongst acres of lush gardens overlooking Lake Tanganyika, Kigoma Hilltop Hotel is the ideal stopover point for safaris to the Western Parks. The hotel has just been completely refurbished to complement our other properties and makes the perfect place of relaxation, with a wonderful inviting atmosphere and offers every modern comfort for the weary traveller.